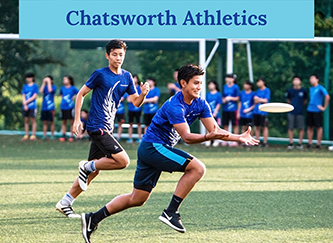 Chatsworth International School has a strong history in Singapore, dating back to 1995. The school is a product of a handful of teachers and students founding the school in Upper Serangoon back then. The two international campuses in Orchard and Bukit Timah are part of the Chatsworth Group of Schools, which also includes two preschools running the local curriculum. The Bukit Timah campus that opened in August 2018 consists of students from Years Kindergarten to Year 13 (age 3 to 18) while the Orchard campus caters to primary students from K through Year 6. As an IB World School, we offer the IB Primary Years Programme (PYP), Middle Years Programme (MYP) and Diploma Programme (DP). The school is accredited by the Western Association of Schools and Colleges (WASC), is EduTrust certified and a member of the East Asia Regional Council of Schools (EARCOS). Chatsworth provides each student with a challenging academic experience, with foundations in traditional education while at the same time ensuring our students are prepared with 21st Century skills for a balanced and successful future as global citizens. At the same time, we have developed a strong Student Services department to ensure that our students receive the care and support they need to be successful and well-rounded individuals. Our highly qualified and dedicated staff come from all over the world to offer our students a truly international education. 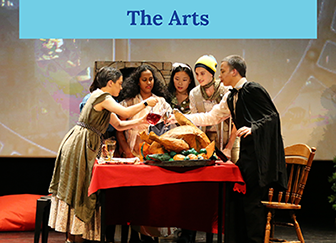 Small class sizes allow our students to be heard and express themselves, gain confidence, think critically and globally and be recognized for their individual talents while at the same time maintaining our overall importance of community. Chatsworth is a wonderful school and the best way to see this is to visit us in action. We welcome you to schedule time to come and experience for yourself Chatsworth’s enthusiastic community spirit. I am privileged to be serving as Head of Schools and Principal of Chatsworth International School - Orchard Campus, with its emphasis and strong reputation for community, pastoral care and holistic education. We have an amazing community and each day I am reminded of how unique and special this school community truly is.